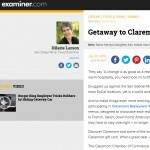 Writers and reviewers love staying in Claremont! 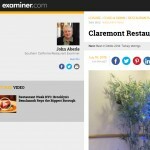 Read what they have to say about some of Claremont’s visitor amenities, including restaurant choices, ideas for shopping, and special sites to visit in the Claremont area. The downtown, called Claremont Village, is a nice, quaint, and uber-thriving area right across College Avenue from campus—an inviting, walkable district without the hazardous hordes of wild college kids on bicycles or scooters. There are tons of specialty shops and restaurants to peruse, such as The Little Dress Shop or Boon Companion, as well as the Candlelight Pavilion and the Rancho Santa Ana Botanical Gardens, which showcases native California plant life. 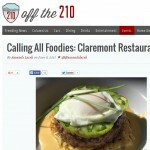 Known as the beautiful ‘City of Trees’ and home to the Claremont Colleges, Claremont is also a foodies’ paradise. 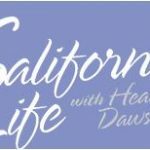 And while there are many wonderful dining establishments that will serve up an amazing meal, this walking tour is heavenly because it’s all about the most delicious desserts and specialties in Claremont! Our generously sized room with good wifi, a comfortable king bed, Crabtree & Evelyn bath amenities, and a tin of freshly baked chocolate-chip cookies was wonderful. And when we looked out our window, the pine trees completed the feeling that we had truly escaped the city. This college town gets extra credit for its epic backyard, accessible art collections, and happening music scene. But Claremont is no Wellesley wannabe. It’s Californian through and through, a onetime citrus town with easy access to both the wilds of the San Gabriel Mountains and the culture of Los Angeles. 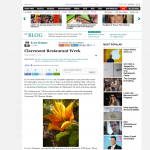 Claremont strives to preserve its character, even as it evolves. 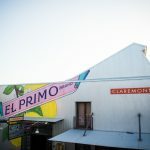 For longtime and newer residents, it’s that small-town-meets-big-world connection that defines Claremont. Tasteful high-end chain stores rub retail shoulders with aggressively quirky, locally sourced, shade-grown, fair-trade, gluten-free, artisan and vegan boutique shops. The array of international restaurants is way too trendy and more haute than any regular municipality of 35,824 residents has a right to host, which makes it a must-stop for people whose college years are decades behind them. 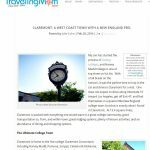 You might know Claremont as that town with five liberal arts colleges and two graduate schools within its city limits. 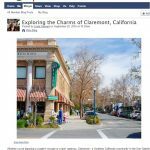 What you might not know is that it boasts a vibrant downtown, called Claremont Village, where more than 150 mom-and-pop restaurants, boutiques, art galleries and music venues create a relaxed atmosphere for all ages. If that weren’t enticing enough, the Metrolink/Transit Center drops off passengers just a baseball toss away. Claremont is home to the consortium of seven higher-learning institutions collectively called the Claremont Colleges, along with the Claremont Schools of Theology. 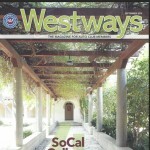 In the walkable historic Claremont Village, boutique shops, restaurants, and other businesses flank tree-lined streets. Art galleries and an arboretum are among the campuses’ visitor attractions. 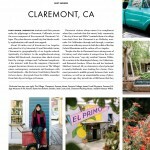 Claremont may be part of SoCal—L.A., to be specific—but it’s worlds away on its own down-home, charming plane with cozy bungalows, Victorian houses, and sustainable-living communities stretching out from a walkable downtown known as The Village. 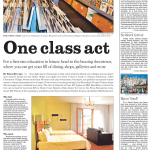 Though there are seven different schools in the district, the student population is low, freeing Claremont of the wild party-crowds that define other academic cities. Programs like the Claremont Avenues for Lifelong Learning, which grant people 60 and over free class auditing, make this the perfect spot to hunker down for good. Nestled in the foothills of the San Gabriel Mountains, the DoubleTree Claremont Hotel offers an oasis with a palm tree-shadowed pool and a on-site restaurant. Minutes from the Claremont Colleges and the Ontario International Airport, the DoubleTree serves as a home base while staying in Claremont, California. About 35 miles east of downtown Los Angeles, I found a quaint town with tree-lined streets and 100-year-old homes. With picket-fenced gardens and pastel-painted front porches, I explored the southern Californian college town, Claremont. I found five of the top liberal arts college in the U.S. along with amazing year-round weather and a ski resort just minutes away. This was only the beginning of college shopping 101 in Claremont, California. You can spend hours at the expansive Rancho Santa Ana Botanic Garden, walking its trails, examining its impressive flora and simply relaxing. But in case you don’t have the time to spare, there are some definite “don’t misses” at the Claremont venue. 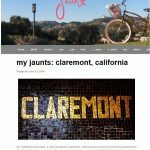 Claremont is small, but the community aura is big; the calendar is filled with activities that engage residents and visitors alike. From the weekly Farmers and Artisans Market (the largest in the Inland Empire) to craft beer and vintage wine walks, to folk and midsummer Shakespeare festivals, there’s always something fun to do. These days the gorgeous mountains are in view daily, complementing one of the best climates in the U.S. 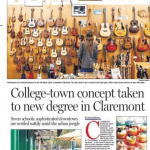 The town of Claremont has clearly benefited from this becoming perhaps Southern California’s most authentic college town, surrounded by Claremont McKenna, Harvey Mudd, Pitzer, Pomona, and Scripps colleges. It’s known as the “City of Trees and Ph.D.s” but many also know it as a college town. It’s also Southern California’s first fair-trade town. The Fair Trade movement is a sustainable, consumer driven movement that makes Fair Trade products available for sale as a means to protect the planet and reduce poverty. Fair trade protects are produced by small farmers and artisans all around the world. Rancho Santa Ana Botanical Garden originally opened in 1927 and showcases over 2,000 species native to California. The Garden separates into three areas in which different types of plants thrive. You can enjoy plants from every season, monthly bird walks, gardening workshops, and conservation education while you explore. This garden is a leader in research and conservation of native California plants. 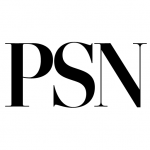 Its Living Collection of specimens is one of the largest in the country, and combined with its Seed Conservation Program, its conservation is the largest of any botanical gardens’ in the United States. Claremont is a college town. It’s home to Pomona College, Scripps College, Claremont McKenna College and Harvey Mudd College. The city is bike friendly and great for pedestrians. There are beautiful old neighborhoods, tall trees and an overall comfortable atmosphere. 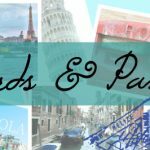 There are options for inexpensive fun along with luxury and gourmet experiences. The moment I stepped into the lobby at The DoubleTree by Hilton in Claremont I felt like a welcomed guest. The employees were friendly and helpful. Of course, there were also delicious chocolate chip cookies waiting for me! The hotel is on Foothill Boulevard, which is also historic Route 66. There is food and entertainment within walking distance. Claremont Village, the colleges and the botanic garden are all just a short drive away. 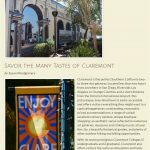 Claremont manages to stay a relaxed, laid-back jewel of a town, with a wonderful combination of the liveliness of a student town and the elegance and stateliness of a historic landmark. Charming tree-lined streets are filled with magnificent historic architecture. Officially on the outskirts of LA County … I find myself here lot. For special dinners, for that new independent film, and for unique shopping. I considered leaving this town off the list so I could keep it all to myself, but here we go! Just 30 miles east of Downtown Los Angeles, you’ll find the perfect spot for a weekend getaway… Claremont. Claremont is home to dozens of one-of-a-kind shops and restaurants, as well as a great art and music scene. If you look beyond the books and branches, you’ll discover one of the big reasons people keep coming back — the FOOD! 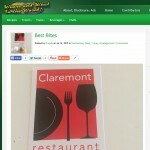 Claremont is home to dozens of restaurants, so there really is something for everyone. Whether you’re planning a couple’s escape or a girls’ getaway, Claremont – a Southern California community in the San Gabriel Valley dubbed the “City of Trees” – should be at the top of your list. Located less than an hour east of Los Angeles, and two hours north of San Diego, Claremont maintains a small-town character with a population of 35,000. Along with the Claremont College, considered by many to be the “Ivy League of the West,” and a beautiful residential area, this city of tree-lined streets has an historic, vibrant downtown area, Claremont Village. Claremont is the perfect Southern California two- to three-day getaway. Located less than two hours from anywhere in San Diego, Riverside, Los Angeles or Orange Counties and a short distance from the Ontario International Airport, this picturesque, tree-lined town is easily accessible and offers visitors everything they might want in a captivating getaway: outstanding, reasonably priced accommodations; a range of varied, excellent culinary options; unique boutique shopping; an aesthetic sense reflected in numerous art galleries, museums and striking murals all over the city; a beautiful botanical garden, and plenty of other outdoor hiking and biking opportunities. 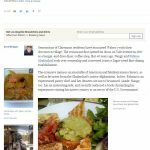 Using charming Hotel Casa 425 as a base of exploration, start with a stroll through the shops and restaurants ofClaremont Village and catch the village walking tour on the first Saturday of the month or the Art Mart every Friday evening. On campus, head to the Pomona College Museum of Art and check out James Turrell’s “Skyspace,” a light show that highlights architecture, light and sky. Visit the 100-year-old Bridges Auditorium for live performances. Watch a dorm competition of broomball or water polo or catch a Sagehens varsity game at Merritt Field. Just 32 miles from Los Angeles, Claremont manages to stay a relaxed, laid-back jewel of a town, with a wonderful combination of the liveliness of a student town and the elegance and stateliness of a historic landmark. Charming tree-lined streets are filled with magnificent historic architecture. There are more than 80 pubs and restaurants, seven colleges, endless numbers of hiking and biking trails, wild parks and the biggest botanic garden in Southern California. 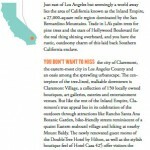 Just 30 miles east of Downtown Los Angeles, you’ll discover what some call “the best-kept secret in LA” —Claremont. The picturesque town is known for its tree-lined streets and the world-renowned Claremont Colleges. But Southern California’s first Fair Trade Town is also home to dozens of locally-owned shops and restaurants. Are you looking for a unique town with houses varying in architectural style, lots of trees, bike trails, academia that enriches an area with art and music as well as unique, one-of-a-kind shops and restaurants without a big road trip on congested freeways? The city of Claremont provides just that. And through the end of the year you can get all this at a bargain through the Claremont Chamber of Commerce. Once home to a thriving citrus industry the Packing House was one of the city’s largest employers … Today it’s a hub of activity and home to a number of small businesses. During my stay I frequented it meeting friends for dinner at the Whisper Lounge, getting morning coffee at Augie’s and enjoying a cool treat at 21 Choices (located just across the courtyard). Yale Street … captures the magic of the old-fashioned main streets we all know and love. My recent trip to the sleepy college town transported me much farther away, to a relaxing and beautiful place reminiscent of a mountain resort community with touches of Spain. 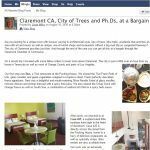 My getaway to Claremont began when a friend and I checked into a luxurious suite at Casa 425, a Spanish-styled boutique hotel in the heart of the town square. Replete with a red tiled roof, white stucco exterior, classic Spanish arches, and an interior, tree-lined plaza courtyard, the 28-room hotel is an alluring structure in the small town, located at the base of the San Gabriel Mountains. September – the kids are back in school and life is returning to normal – whatever that is! What a perfect time to plan a quick ‘get-away’! Lucky for us, Southern California has a host of options, including the delightful city of Claremont CA. Conveniently located 30 miles east of Los Angeles and just north of Ontario Airport, Claremont is justifiably famous for it many institutes of higher learning (there are seven colleges in all), this oasis of calm is an easy 1 – 1 ½ hour drive from the Inland Empire, San Diego, Orange County. It’s also a paradise for foodies, shoppers and anyone who wants to kick back and find some peace and quiet. The large, established trees, for which the city is known, and the small village atmosphere welcome visitors. 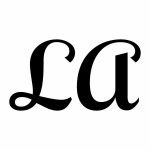 In addition, the diversity in architecture found in its homes and commercial core reflecting various architectural periods from Victorian to Craftsman to Spanish Colonial Revival, charm those visiting this community in Southern California. 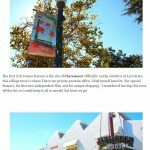 With so many great places to pick from for a mini getaway in Los Angeles, Claremont might easily win my vote for THE best quick road trip/vacation, you could even head on out for the day, yet who would want to leave?! Say what you want about Wes Anderson’s idiosyncratic style—the best of his filmstransport us to faraway places and instill a feeling of wanderlust. 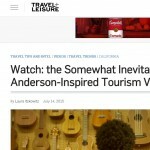 That’s exactly what the tourism board of Claremont, California aims to do with this new ad produced by Wallop Films.Wallop decided to highlight the charm of this college town about forty minutes east of L.A. by creating a video using the hallmarks of Anderson’s style. From the costumes worn by people picnicking, buying guitard, and bird-watching, (some of whom resemble characters from Anderson’s films) to the way the camera pans from side to side, it’s easy to appreciate the cinematic glow cast on the locale. 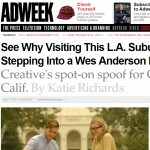 Nestled on the eastern border of bustling Los Angeles, there’s a picturesque suburb that, according to Vancouver-based agency Wallop Film, is one of the “best-kept secrets of L.A.”Claremont, Calif.—a college town with a population of about 35,000—oozes charm with its quaint boutiques, a Folk Music Center lined with rows of antique musical intruments, a botanic garden and more. 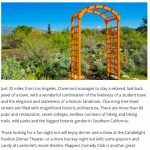 When Wallop, an agency that specializes in luxury branding for hotels and restaurants, got the brief to help boost Claremont tourism and had a chance to experience the town in all of its glory, director Wes Anderson immediately came to mind. Claremont plans to lure Angelenos to their quaint little town an hour eastward the best way they know how: by portraying it as the perfect city to live out your wildest, twee-est Wes Anderson dreams.”Claremont has a certain charm and playfulness to it that we felt connected with the Wes Anderson aesthetic,” Martin Glegg, director at the agency behind the Discover Claremont, told Ad Age.It’s not a bad fit: Claremont does have a serene, small-town, overeducated vibe going for it. There are places to purchase folk instruments, go incognito if you are an older gent who likes wearing bow-ties (lots of college professors here!) and eat food arranged in an aesthetically pleasing manner. The hipster is dead; long live the hipster! What are you doing during the next week or weekend? 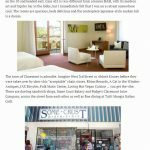 If you live anywhere in Southern California and have a free day or more for a quick getaway, we have a great idea for you—especially if you like good food at great prices and a charming walk-around town with lots of appealing shopping and other sights. 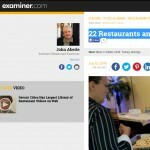 Restaurant Week is being held right now through July 19 in Claremont, California, which is easily accessible for anyone coming from Los Angeles, Orange, Riverside and even San Diego counties. 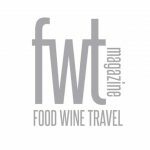 A group of happy, hungry members of International Food Wine & Travel Writers Association recently met in Claremont, California. 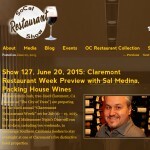 Their primary purpose was to kick off Claremont’s restaurant week. 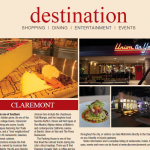 Besides the delectable gourmet tastes of fresh food by talented local chefs, Claremont is a joy to visit. After food tasting our way along tree shaded Claremont village, the thirsty travelers from the International Food & Wine Travel Writers Association were in for a cool treat. 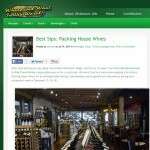 We were tired and warm when popping into historic Packing House Wines for an unforgettable tasting. 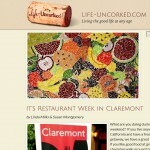 Calm ambiance and a genial host welcomed us during busy restaurant week in Claremont (7/10-19) . 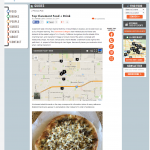 Kicking off restaurant week in Claremont, California (7/10-19) was a food lover’s dream. 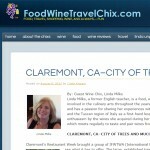 A group of writers and photographers from the International Food & Wine Travel Writers Association sampled many mouth-watering bites and sips.I have chosen my top tastes from several restaurants located in the tree-lined village of Claremont. They say “A change is as good as a rest” and if you ‘re seeking a quick getaway filled with wonderful dining choices, relaxing strolls down tree-lined streets and warm hospitality, you need look no further than Claremont, CA. Snuggled up against the San Gabriel Mountain foothills, this oasis of calm and charm is an easy one to two hour drive from most SoCal locations, yet is a world away from your everyday life. 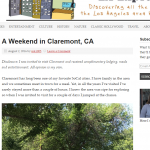 Have you ever been to Claremont, California? Nestled in the foothills of The San Gabriel Mountains, just east of Downtown LA & whistling distance from Pasadena, Claremont has become a best kept secret to Southern California with world-class cuisine, entertainment & FUN to be had. 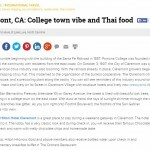 To introduce you to all the food to check out within in this college town (Claremont alone has 5 world renowned campuses), they are offering their famous Restaurant Week, which kicks off TODAY & will continue to keep you wine & dined no matter what your budget, for its 3rd year in a row, through July 19th. 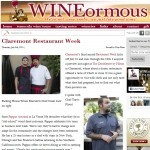 Friday started the third annual Claremont Restaurant Week. You have eight days to take advantage of this community sponsored restaurant event. 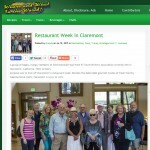 On this past Wednesday, July 08, 2015, the Claremont Chamber of Commerce together with Discover Claremont hosted a their annual Claremont Restaurant Week Chamber Mixer and Media Preview for the 2015 Claremont Restaurant Week. Ron Antonette of Discover Claremont was the initial greeter and cordial host for guests of the chamber and for the media. 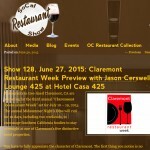 Today starts the third annual Claremont Restaurant Week. 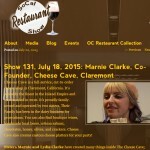 On Wednesday, July 08, 2015, the Claremont Chamber of Commerce together with Discover Claremont hosted a their annual Claremont Restaurant Week Chamber Mixer and Media Preview for the 2015 Claremont Restaurant Week. Ron Antonette of Discover Claremont was the initial greeter and cordial host for guests of the chamber and for the media. 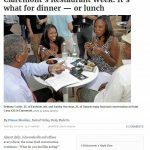 Claremont residents are gearing up for the third annual Claremont Restaurant Week, which will be held July 10 to 19. The annual Midsummer Night’s Dine will run for 10 days, encouraging Southern California foodies to enjoy an overnight stay at one of Claremont’s five hotel properties. A college town located on the eastern border of Los Angeles County, Claremont makes for a perfect weekend retreat. Also known as ‘The City of Trees,’ this beauty is brimming with stunning scenes around every turn whether they are historic buildings or groves of spectacular trees — approximately 23,000 trees — that include American Elms, Eucalyptus, plus numerous other species. 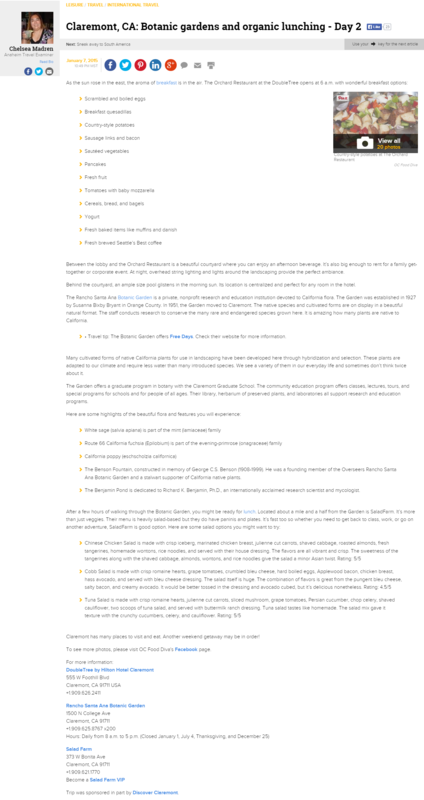 Claremont also has the distinction of being the first Fair Trade Town in Southern California, meaning that many shops, eateries and other outfits carry and sell Fair Trade products. Exciting events take place as well, including Friday Nights Live, which finds live music being performed in Claremont Village — the charming downtown area — along with First Friday Artwalk. 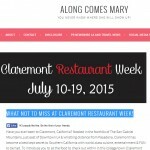 Restaurants in tree-lined Claremont, CA are preparing for the third annual “Claremont Restaurant Week” set for July 10 – 19, 2015. The annual Midsummer Night’s Dine will run for 10 days, including two weekends, to encourage Southern California foodies to stay overnight at one of Claremont’s five distinctive hotel properties.You have to fully appreciate the character of Claremont. The first thing you notice is no parking meters and lots of City-owned parking lots. Their theme is “Take the Time to Exhale. The Orchard Restaurant at DoubleTree Hotel by Hilton Claremont opens at 6 A.M. with wonderful breakfast options. 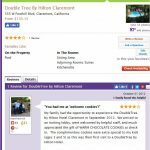 DoubleTree by Hilton Hotel Claremont is a great place to stay during a weekend getaway in Claremont. The hotel has a casita feel to it. The lobby has a very classic look and during check in, you will receive their famous Chocolate Chip Cookies, fresh and warm with melty chocolate chips and homemade taste. Claremont rests in the San Gabriel foothills, in Mount Baldy’s shadow, and is best known as a city of higher learning. The Claremont Colleges draw intellectuals and liberal arts students to the eastern edge of L.A. County. Craftsman bungalows line the streets of this charming town, and Claremont Village is home to most of the action, complete with restaurants, shops, live music venues and a movie theater. 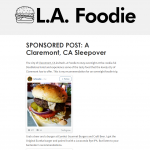 The city of Claremont, CA invited L.A Foodie to stay overnight at the cookie-ful Doubletree hotel and experience some of the tasty food that the lovely city of Claremont has to offer. The locals refer to Claremont as the town full of trees and PhDs, and it’s easy to sense why: trees line and cover the streets of claremont, Instantly transporting you as you exit the 10 freeway from the craziness of LA into the laid back lifestyle of this college town. the claremont colleges are located here, adding youth and culture that is evident in the many festivals, performing arts, and speaker series that occur throughout the year. Claremont Restaurant Week will showcase our growing, local culinary scene that is comprised of some terrific young chefs, experienced and daring proprietors, menus filled with locally sourced ingredients, and restaurants serving craft beers and ales that complement their meals,” said Maureen Aldridge, CEO of the Claremont Chamber of Commerce. 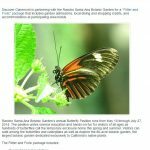 Discover Claremont is partnering with the Rancho Santa Ana Botanic Garden for a “Flitter and Frolic” package that includes garden admissions, local dining and shopping credits, and accommodations at participating area hotels. Claremont is a picturesque west coast community with an east coast look and feel. 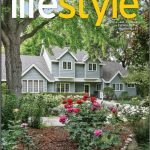 While other areas of Los Angeles favor Craftsman, Spanish Colonial, modern, or beach bungalow style architecture, many of the buildings in Claremont are decidedly New England-style. Gothic Revival, Queen Anne, and Colonial Revival homes dominate the town, and most have beautiful wrap-around porches, festively decorated for Autumn. The town of Claremont is adorable. Imagine West 3rd Street or Abbott Kinney before they were taken over by uber-chic “acceptable” chain stores. Rhino Records, A Cat in the Window Antiques, JAX Bicycles, Folk Music Center, Loving Hut Vegan Cuisine … you get the vibe. This aesthetically pleasing and charming part of Southern California is a can’t-miss for anyone looking for a day trip or new area to explore. It’s Like a New England College Town with some spectacular Spanish architecture, California craftsmen lined aves and only minutes from a desert garden and mountain skiing. So, kind of the best of everything. Claremont is home to 5 colleges (7, if you count the two grad schools) but the student population still only totals 5,000, so the town isn’t overrun with a party college atmosphere. Nope, the collegate atmosphere only extends to the good stuff – lots of coffee shops, bike lanes, trees and fair trade shops. The hidden gem, a mere 30 minutes from downtown L.A., is unlike any other city in the area. 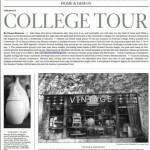 It’s renowned for its colleges, and features a historic downtown village and native botanical gardens. The extensive menu is an ensemble of American and Mediterranean classics, as well as favorites from the Ghafarshad’s native Afghanistan. In The extensive menu is an ensemble of American and Mediterranean classics, as well as favorites from the Ghafarshad’s native Afghanistan. In fact, Fahima is an experienced pastry chef, and her desserts are not to be missed. fact, Fahima is an experienced pastry chef, and her desserts are not to be missed. The dishes are more European-inspired than just Mediterranean-inspired, with a wine list as cosmopolitan. 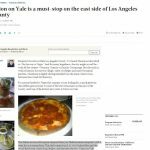 The chef comes from L.A.’s Le Cordon Bleu and the wood-fired oven comes from Naples, and between the two, Union on Yale produces some of the best Old- and New World pizzas in this part of the county. If you’re looking for elegant dining in the San Gabriel Valley, Tutti Mangia is definitely one for your list. 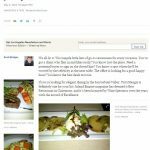 Inland Empire magazine has deemed it Best Restaurant in Claremont, and it’s been honored by Wine Spectator over the years with the Award of Excellence. Claremont remains off the radar for most people west of the 605 – strange given that the so-called City of Trees and PhDs has so many draws, including the Pomona College Museum of Art, Rancho Santa Ana Botanic Garden and Claremont Heritage, organizer of an annual home tour. For shoppers, here’s a quick sampling of what you’ll find in town. The Doubletree Claremont is located near many family friendly attractions such as Rancho Santa Ana Botanical Garden, The Alf Museum of Paleontology, and The Village Claremont (featuring unique shops and eating spots). 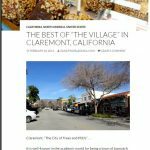 The centerpiece of the tree-lined, walkable downtown is Claremont Village, a collection of 150 locally owned boutiques, art galleries, eateries and entertainment venues. 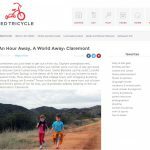 But like the rest of the Inland Empire, Claremont’s true appeal lies in its celebration of the outdoors through attractions like Rancho Santa Ana Botanic Garden, bike-friendly streets reminiscent of a quaint Eastern seaboard village and hiking at nearby Mount Baldy. Just 30 miles east of downtown Los Angeles is the quaint 100-year-old town of Claremont, best known for its tree-lined streets, historic buildings, and college campuses. Stroll through the residential neighborhoods around the downtown core of Claremont Village to see trees that were planted at the turn of the 20th century. Mountain landscapes and Mount Baldy create a backdrop that makes you feel like you’re much more than an hour-and-a-half drive from the city. With its distinctive brick buildings, graceful cupolas, and shady colon-nades, Claremont brings to mind an East Coast hamlet set in the foothills of Angeles National Forest. 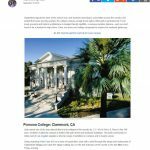 Home to seven renowned colleges—the first, Pomona College, was built in 1887—the town began as a hub of the citrus industry before developing a strong arts identity.